Guidelines to Avoid Google's Penalty on Intrusive Interstitials — A detailed look at the types of interstitials that will be penalized by Google and the types that won’t. Have Web Standards on Mobile Caught Up to PhoneGap in 2017? — A look at the state of web standards for each of the core PhoneGap/Cordova plugins to see if the mobile web has caught up in 2017. 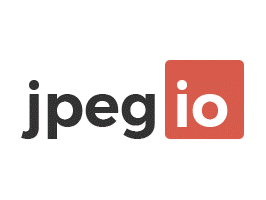 Convert any major image format into a highly optimized JPEG — Jpeg.io is a free online service for rapidly converting your images into highly optimized JPEGs using proprietery JPEG optimization algorithms. Optimize all your images in one go and greatly speed-up your websites and applications. Apache Cordova 7.0.0 Released — Apache Cordova 7.0.0 has been released with numerous changes to the use of package.json, a new config command, support for custom platforms and more. NativeScript 3.0 Now Available — The new release includes a new cross platform modules implementation, CLI improvements, and more. Announcing Ionic CLI v3 — Non-essential commands and functionality have now been split out into plugins. This post looks at some of the changes. From Idea To Development: How To Write Mobile App Requirements That Work — Not sure how to write a mobile application requirements document? Here are the basic steps of how to get started and what a good one looks like. Google Is Developing A New Mobile Operating System — It’s called Fuchsia and could potentially be an Android replacement. It’s partly written in Dart. The Basic Patterns of Mobile Navigation — Examining five basic navigation patterns for mobile experiences as well as the strengths and weaknesses of each. How to Setup AMP Support for WordPress — How to add an AMP version of a WordPress site using the AMP plugin created by Automattic. Mobile First, Desktop Worst — The author says that Mobile First has led many designers to misapply mobile patterns to desktop designs. What The World Needs Now Are More Progressive Web Apps — Progressive Web Apps allow you to access the majority of the capabilities as the full-sized version of a mobile app while also saving storage. AWS and Ionic Team Up to Build a 'Full-Stack Starter' — The Ionic AWS Starter generates an Ionic app complete with a pre-configured AWS Mobile Hub project ready to go. Instagram Launches Mobile Web Sharing to Pursue Global Growth — Using the mobile web helps Instagram reach places it can’t with an app. Google's Progressive Web Apps (PWA) Directory — A PWA directory, focusing on collecting PWA best practices and examples.